Monkey magic, a Japanese registered charity associated with Mr. Koichiro Kobayashi, a renowned world champion in rock and mountain climbing will from 12th to 16th March 2018 train blind learners on rock climbing in Nairobi, Kenya. The new sport to be introduced and tried in Kenya targets 100 learners with visual impairments drawn from Thika High and Primary Schools for the Blind, Kilimani, St. Aquinas and Muthaiga Integrated Schools in Nairobi. Mr. Kobayashi was one of the 8 blind climbers in the company of 20 other sighted mountaineers who successfully scaled Mt. Kilimanjaro where Kilimanjaro Blind Trust was founded in 2005. 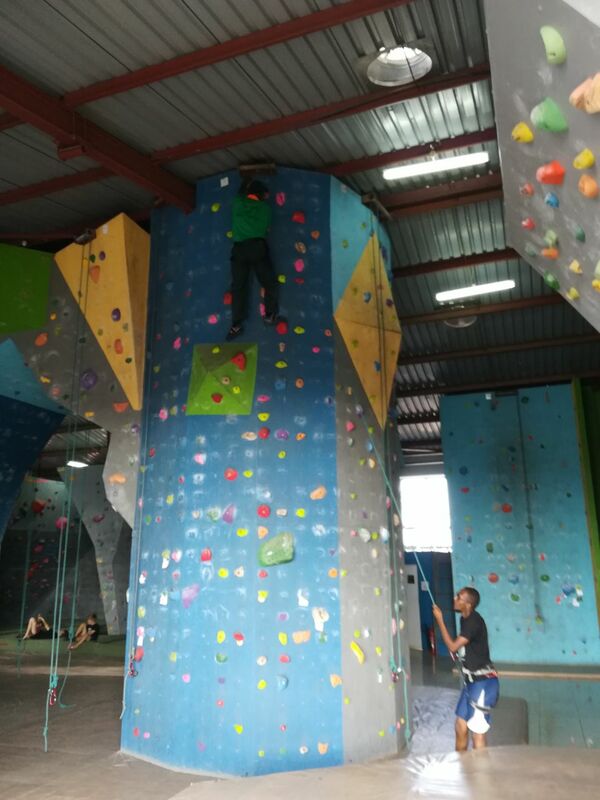 Kobayashi and his team will be working with KBTA, BlueSky Gym and the schools to introduce rock climbing as an alternative sport for learners who are blind and visually impaired. This is program is expected to provide additional leisure and recreation activities for blind and visually impaired persons in Africa as well as increase their self-confidence levels. While in Nairobi, Mr. Kobayashi is scheduled to deliver an open public lecture on Wednesday, 14th March 2018 from 4:00pm (Gate open) at the Embassy of Japan in Kenya, Mara road, Upper hill, Nairobi. Those within Nairobi and are interested can send an email with their name and ID number to jinfocul@nb.mofa.go.jp or call +254 20-2898515. Mr. Kobayashi first started free climbing in 1984 when he was 16 years old. In 1996, the doctor informed him that he would completely lose his sight in the future from a progressive eye‐disease. For years, he lived in desperation. He was however fortunate to be inspired by so many people he had become friends with, and through those experiences, he founded the NPO Monkey Magic to further free climbing, the sport he truly loves introduce to others with sight disabilities just like himself. The plan to launch a climbing program for visually impaired children in Kenya aims to bring a smile to the children’s faces by challenging them through climbing.